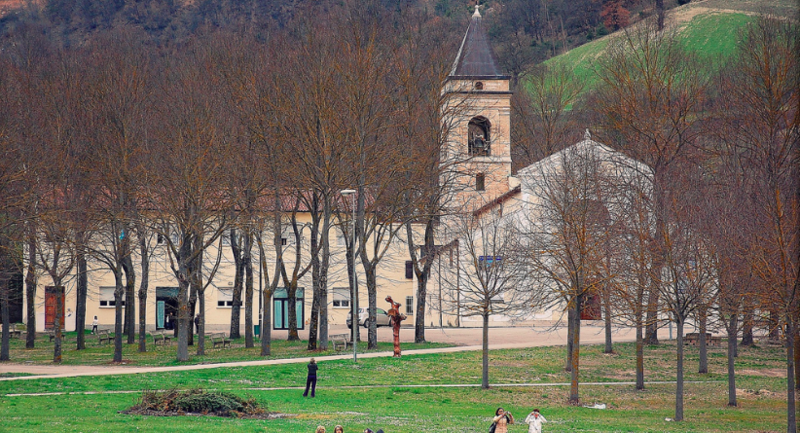 The diocesan shrine is located along the main Flaminia road , in the natural paradise of thet Furlo’s gorge. The birth of the church dates back to 1388, but the earthquake of 1781 damaged the building, but the image of the Madonna was safe (fifteenth century) an event which contributed adding more veneration by the devotees. There’s miraculous healings followed by pilgrimages, with many graces from the Madonna herself. To accommodate the many faithful, a new church was built in neoclassical style consecrated in 1859, on whose altar is placed the holy image. Prayer and anointing with oil lamp of the altar, accompanied by deep faith, have strongly worked, attested by many documents, today placed in the Museum of the former vote within the Sanctuary recently renovated.